Cologne – After a wait of 33 years, SV Darmstadt 98 make their return to the Bundesliga this Saturday when they welcome Hannover 96 to the Merck-Stadion am Böllenfalltor (kick-off 15:30 CEST / 13:30 GMT). None of their current playing staff were even born when Darmstadt last appeared in the German top flight, but they are going to have to be very much alive and kicking when they face Michael Frontzeck's men, who will be hoping for a more comfortable season than their last one. No club has ever been relegated three times in as many Bundesliga seasons – Darmstadt went down in each of their previous two years in the top flight. 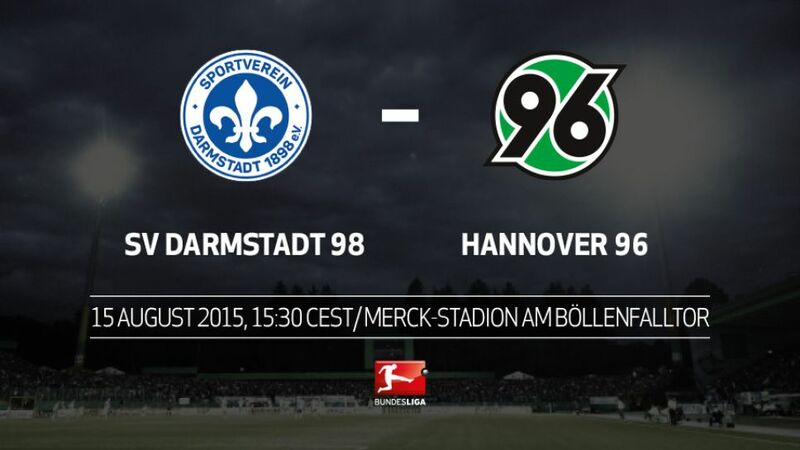 Hannover won four and drew one of their last five fixtures on the opening day of the season. Darmstadt's defenders scored 15 goals last season, while their strikers only managed ten between them.Hannover have won only one of their last seven visits to the Böllenfalltor: 2-1 on 24 November 1984 in Bundesliga 2 (with three draws and three defeats in the other games). The promoted side have the edge in the overall statistics too, having lost only four of 15 meetings with the Reds (six draws, five wins).Darmstadt became the seventh club to rise from the third division to the Bundesliga in consecutive seasons, the last being Hoffenheim in 2007.Darmstad's Jan Rosenthal came up through the Hannover youth system, wearing their colours for ten years (2000-2010) and playing 80 Bundesliga matches for the Reds (11 goals). But in four Bundesliga matches against Hannover, Rosenthal has scored twice.Michael Frontzeck and Dirk Schuster were rivals seven times as players, drawing five of them with one win each.Charlison Benschop was on the winning team twice last season for Fortuna Düsseldorf against Darmstadt, scoring three goals.